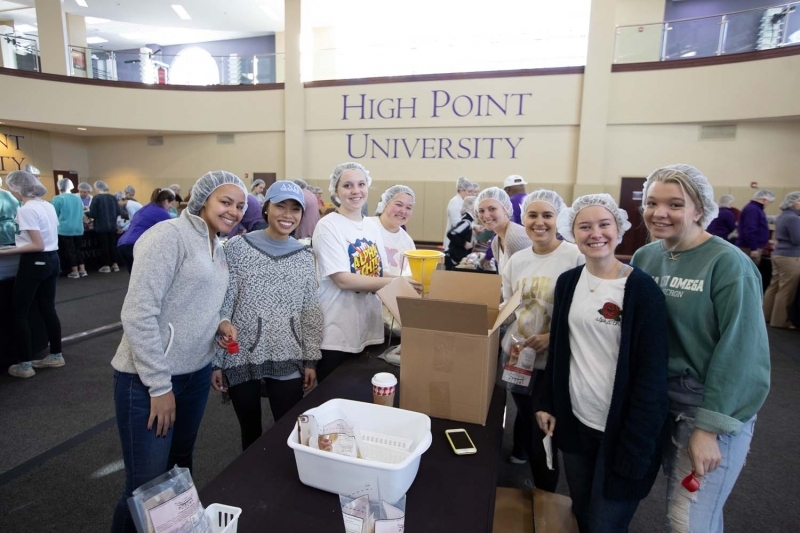 High Point › News And Media > News > Community News > HPU Completes Various Service Projects in Honor of Dr. Martin Luther King Jr.
HIGH POINT, N.C., Jan. 21, 2019 – High Point University students, faculty and staff made an impact on the community during today’s annual Dr. Martin Luther King Jr. Day of Service. 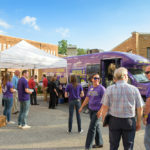 More than 600 volunteers participated in 29 projects across the city of High Point to serve others through more than 1,500 hours of service. 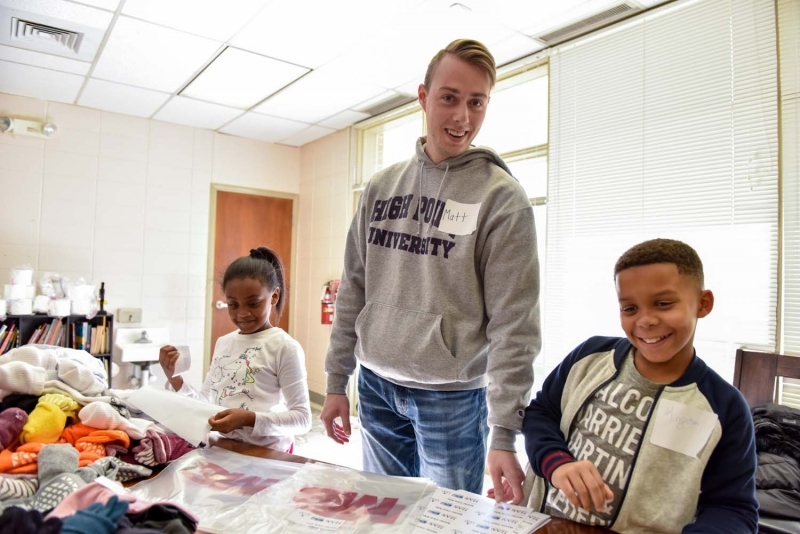 HPU’s Matthew Warrick, a second-year pharmacy student, completed his undergraduate studies at HPU and wanted to continue his tradition of giving back. 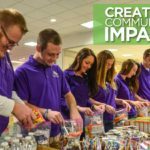 He volunteered at High Point Leap, where he helped the United Way of Greater High Point pack bags of toiletries for homeless individuals. 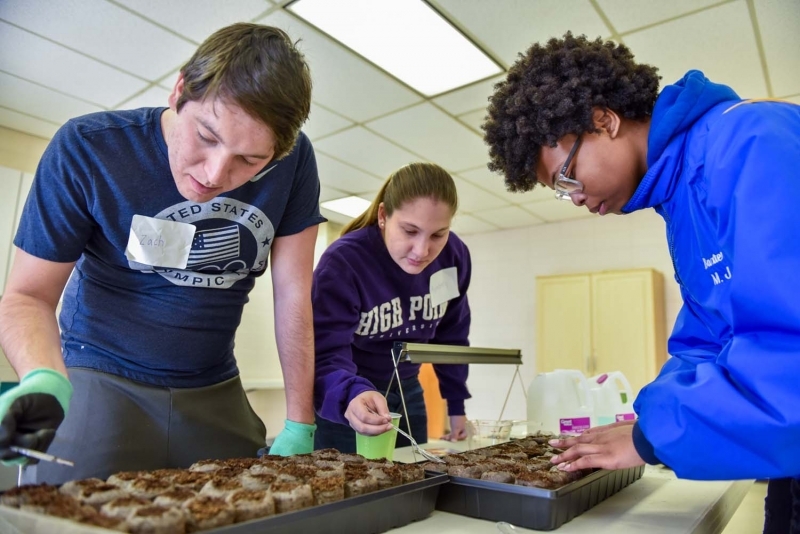 Other volunteer opportunities at High Point Leap included cleaning and organizing the classroom space, working in the food pantry and completing an indoor garden project. Macketta Johns is an HPU senior journalism major and event management minor who loves working with the elderly. She took her passion to Piedmont Christian Home, where she painted Kathy Spainhour’s and Dorothy Mainhood’s finger nails. “It’s meaningful and I appreciate the HPU students. I feel like a million dollars,” said Mainhood. “I appreciate what everyone has been doing for me, and I appreciate HPU for the activities they all do,” said Spainhour. 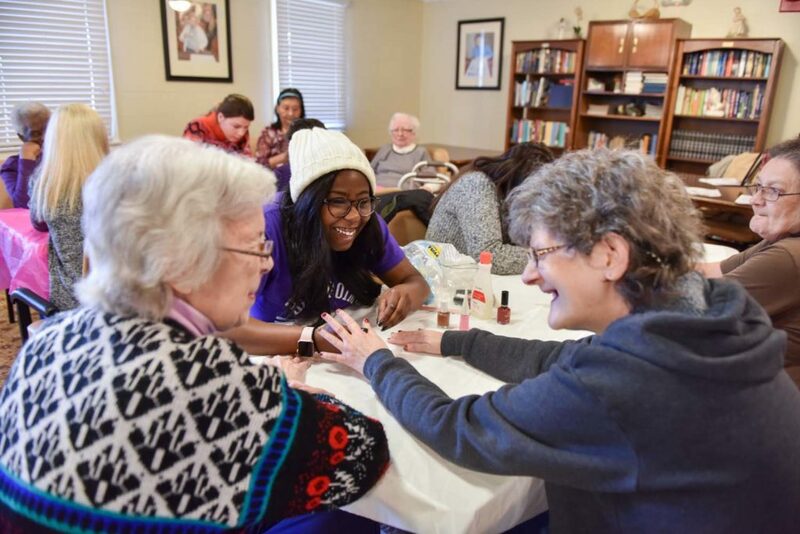 Johns has volunteered every year for HPU’s MLK Day of Service because giving back to her community is important to her. 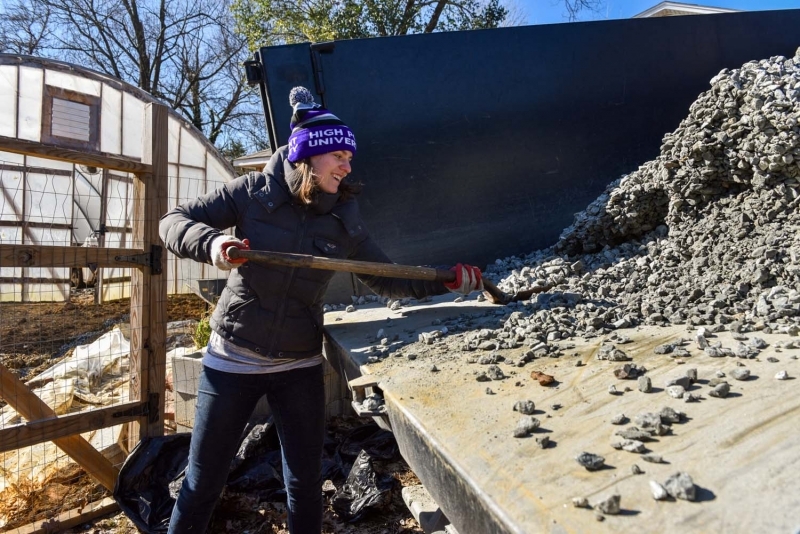 It was a cold morning, but Erin Murphy, HPU graduate and AmeriCorps VISTA, organized a team to be out in full force at Fairview Elementary School. 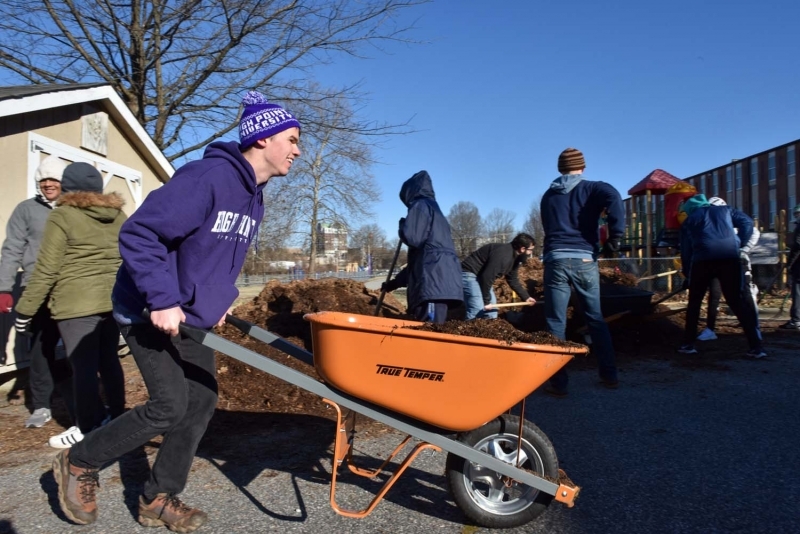 Murphy and a group of about two dozen volunteers were out early at the Fairview Elementary School playground spreading mulch to keep the children safe during recess. 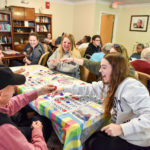 “I think it’s really important for HPU students to engage the surrounding community because this is a university that doesn’t just prepare its students for jobs, but also empowers them to care about everybody including the surrounding community that may greatly appreciate a helping hand,” said Harrison Seitz, an HPU senior biology major. 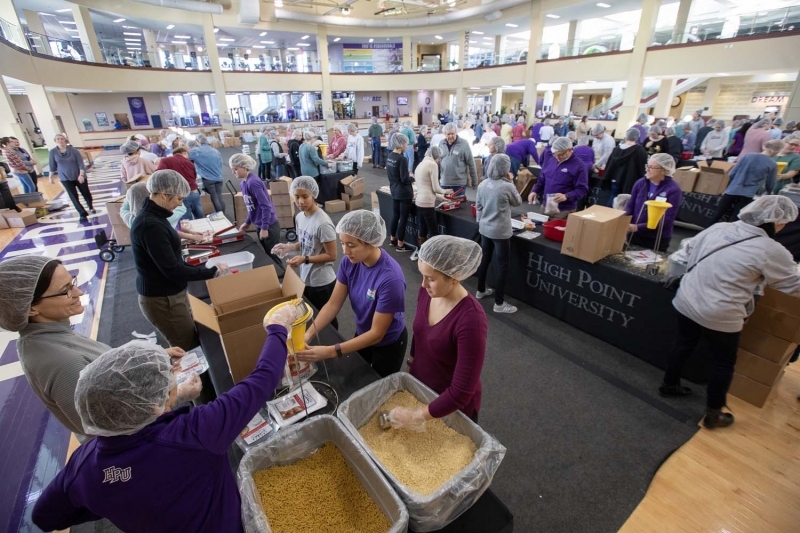 On campus, students participated in various service projects, including The Outreach Program’s food packing event, where students packed more than 40,000 easy to prep meals for the surrounding community, and HPUtt, where teams used $10,000 of canned food to build mini golf courses and compete for prizes. The food was then donated to local pantries. HPU also held the annual Martin Luther King Jr. Day worship service in Hayworth Chapel on HPU’s campus. HPU faculty offered a series of Teach-Ins focused on educating people to continue Dr. King’s legacy. 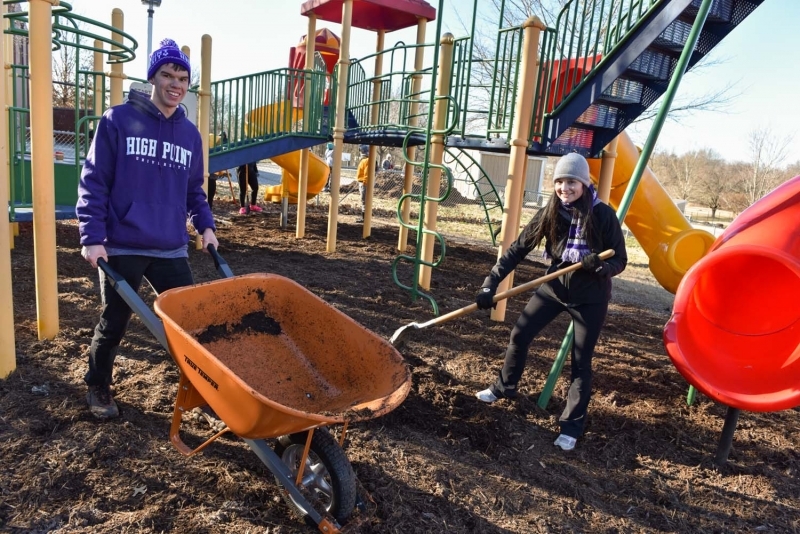 HPU Completes 33 Service Projects in Honor of Dr. Martin Luther King Jr.